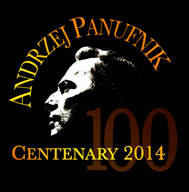 Another event (or, rather, series of events) that I have missed by being away is the initial celebration of the centenary of Andrzej Panufnik, who was born in Warsaw on 24 September 1914. So far it seems to have been relatively quiet, certainly in comparison to the Lutosławski centenary last year. Yet there is quite a bit going on. There are conferences and focused events as well as performances within the 2013-14 and 2014-15 season. There are over 100 concerts, principally in Poland and the UK, with a smattering in each of Austria, Germany, Latvia, Kosovo, Bulgaria, Romania, Australia and Brazil. The gaps, though, speak for themselves. Really, is there nothing in the USA except for Camilla Panufnik’s guest lecture at the University of Southern California? Nothing in Scandinavia, Holland, France, Spain or Italy? Last month there was surprise, and dismay, that the BBC Proms had programmed no music by Andrzej Panufnik in 2014, although his daughter Roxanna makes a welcome appearance. This isn’t good enough. Just because last year’s Proms included two short works composed while Panufnik still lived in Poland – Tragic Overture and Lullaby – is no reason to ignore his substantial orchestral and chamber output composed since he settled in the UK in 1954. But the Proms season is not alone. Very few British orchestras have programmed Panufnik’s music this year. The London SO is the leading light here, with performances of Lullaby and Sinfonia sacra (Symphony no.3) in February and Symphony no.10 in October in the new Polish Radio concert hall in Katowice and, the following night, in the Barbican Hall, London. The list of performances monitored by Panufnik’s publishers, Boosey & Hawkes, shows how a wonderful opportunity has been missed. As it stands, only half of Panufnik’s ten symphonies are being played this year. Sinfonia sacra, arguably his most compelling symphony, has six performances overall, no.10 three, and nos 2, 4 and 5 two each. That means that Sinfonia rustica (no.1), Sinfonia mistica (no.6), Metasinfonia (no.7), Sinfonia votiva (no.8) and Sinfonia di Speranza (no.9) are at present totally absent from concert halls around the world in this centenary year. I find this totally mystifying. The non-symphonic orchestral repertoire is more frequently on the bill: Tragic Overture (three), Lullaby (four), Heroic Overture (perhaps his least characteristic work, eight), Autumn Music (just one), Arbor cosmica (two) and Harmony (three). No sign of one of his best pieces, Nocturne, which is nothing short of scandalous (I am reminded here of the rarity of Lutosławski’s masterpiece Livre during 2013). Other notable absentees include Katyń Epitaph and Universal Prayer. The concertos and chamber music fare better (Sinfonia concertante, no.4, should really figure in the first group). The Piano Concerto and Piano Trio are notching up 13 performances apiece, while the Violin Concerto is being played on nine occasions and the Cello Concerto three. The string quartets and string sextet appear between three and six times each, and rising. One of the major events is at the Presteigne Festival in Wales. Over its six days (21-26 August), six of Panufnik’s pieces for voice(s), piano, chamber ensemble and string orchestra will be heard. Isn’t it often the case that small or modest-scale organisations are more imaginative and flexible than big ones? Nevertheless, most of Panufnik’s pieces are represented at some point during 2014, the vast majority in professional concerts, with a healthy sprinkling of amateur performances. Some works have multiple hearings through tours or back-to-back concerts, and some are the repeated focus of specific performers, such as the Piano Concerto (Maciej Grzybowski). The Violin Concerto does particularly well in terms of range of soloists (Tai Murray, Maria Machowska, Tasmin Little, Aleksandra Kuls, Szymon Krzeszowiec, Alexander Sitkovetsky). I live in hope, even at this late stage in concert planning for 2014-15, that some of the repertoire gaps will be bridged and that more of Panufnik’s music – which is distinctive, powerful, lyrical and tightly focused in an exceptional way – will be brought before the ears of the concert-going public this year. And if not this year, then in subsequent years as a testimony to his unique creative voice. The Boosey & Hawkes list is located at the impressive panufnik.com. This site has been up and running for a while, and includes his biography, a discography (current and past), a complete list of published works (by category and chronologically), audio excerpts, stills and a few videos from his brief film career in Poland (under the heading Extras-Unknown Panufnik) and a generous bibliography of Polish and English coverage (Extras-Further Reading). There is also a very welcome collection of Panufnik’s diagrammatic designs that are attached to eleven of his compositions. The audio excerpts are taken from the cpo series (2008-13) with the Polish Radio SO under Łukasz Borowicz. I have just today – very belatedly – taken delivery of its seven CDs (and the just-released father-daughter double act with Roxanna’s music) and am eagerly looking forward to listening to them. Borowicz is a persuasive conductor and, even if live performances of Panufnik’s orchestral music are unfairly patchy this year, at least there is this well-planned and comprehensive series that will last well beyond 2014. Where panufnik.com is shy of being fully comprehensive is in some of the repertoire from the late 1940s and early 1950s. Symphony of Peace (1951), although it was published in Poland, gets only a passing mention as furnishing the material for Sinfonia elegiaca (1957), and it is absent from the biography. Also missing are the several mass songs that he wrote, and were published, in 1949-54 (no mention, for example, under Unknown Panufnik). No-one is pretending for one moment that these minor propaganda pieces have musical importance, but they do have cultural-political significance and to imply that they never existed is unfortunate. One only has to look at the openness with which such items were dealt with during the Lutosławski centenary to see that there are huge benefits for the understanding of the difficult life of Polish composers in those years. In every other respect, panufnik.com is a valuable source of information, easy to navigate and handsome to look at. Totally agree. 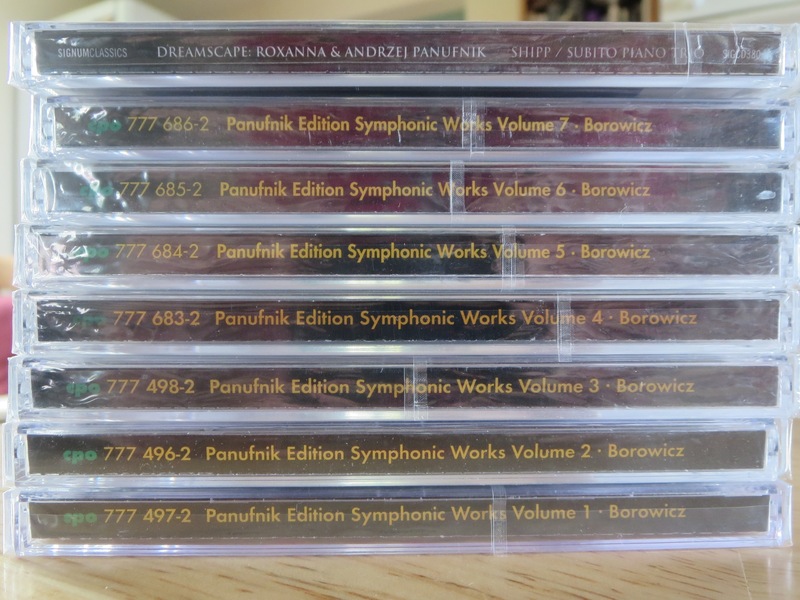 The BBC should be ashamed of itself, but it has neglected Panufnik over a long time. We recently did both the violinconcrto and Thames pageant at the Tiffin GIrls school and the students responded brilliantly to this superb music. It speaks equally to the head and the heart, indeed far more than most contemporary music does. We hope for better days but I am convinced.iced his music will stand the test of time and triumph. Thanks, Paul. Impressed with your school’s initiative and abilities!